Howdy Pinkyies! 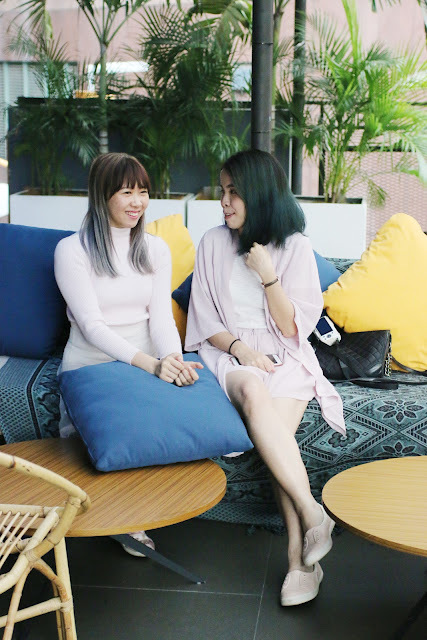 Aside from my usual beauty topics, today I'm sharing something about travel for everyone of you, especially to those who's not staying around KL! 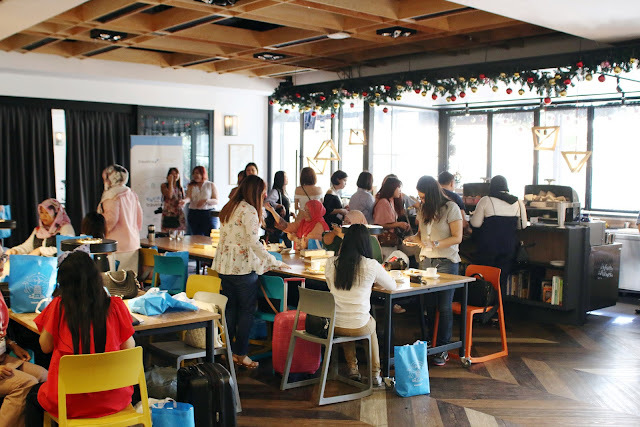 Before 2017 ends, I joined a 2 days 1 night travel escape with Traveloka and The Butterfly Project at a very Instagrammable place - The Kuala Lumpur Journal Hotel. If you're a fan of taking nice portrait for your Instagram, make sure you keep reading for some tips to take nice photography at this hotel from me! I bet all of you already know what is Traveloka. 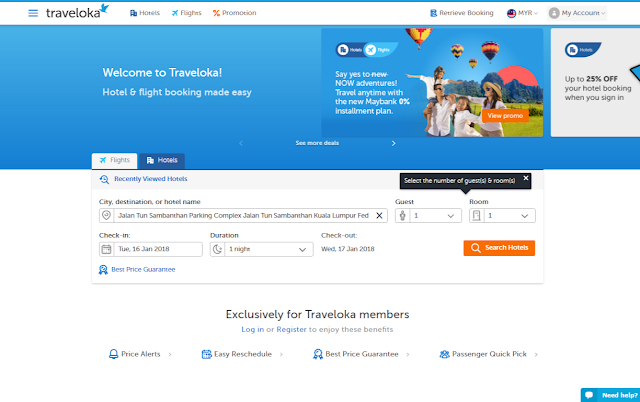 In case you don't know, Traveloka is one of the leading flight and hotel booking platforms in Southeast Asia, serving more than 100,000+ flight routes and 100,000+ hotels worldwide. They work hard to provide our customers with the cheapest hotel and flight rates every day! They provide the best price for your travel plan. Everything stated is the final price with no hidden cost. They have 24/7 call center. Worry not if you have problem with your booking in the middle of the night. They constantly have special fare deals exclusively for Traveloka users only and you won't find such cheap price in other platforms! You can definitely rely on Traveloka as they have friendly staffs that will answer all of your questions even you've any problem after the trip! You can get price alerts by setting push notifications for budget deals from the Traveloka App in your phone! The homepage of Traveloka's app. Personally love the Price Alert feature very much cause that will remind me when is the best time for me to purchase my flight tickets at the lowest price! And they are having 0% installment plan promotion! 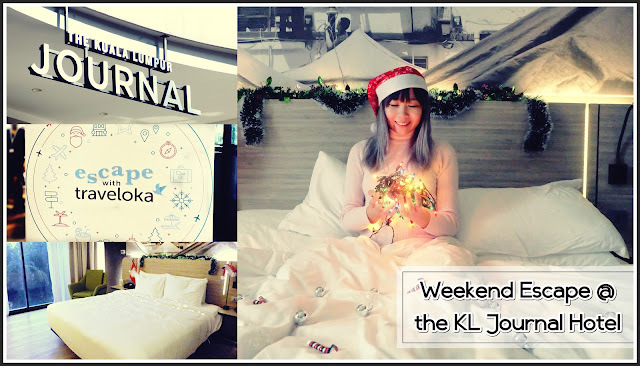 Thanks to Traveloka, the butterflies get to have a relaxing and enjoyable weekend at The KL Journal. Now let me show you around in the hotel with some introduction. 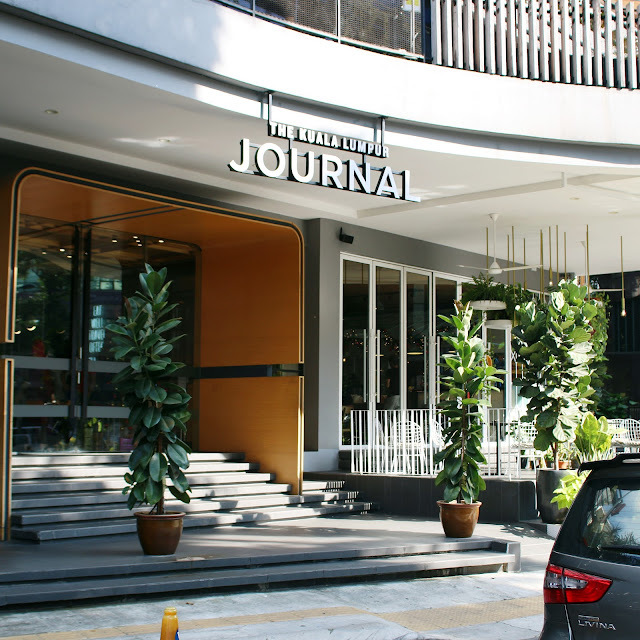 The Kuala Lumpur Journal is a stylish boutique hotel located in the heart of KL city. It's founded in November 2015 and now they have 117 rooms in the hotel. The word "journal" in it means they want everyone have a memorable experience like a journal. Designed with an inviting relaxed vibe where nostalgia meets industrial chic, they are centrally located within walking distance of the main business district, high-end luxury retail outlets and the city's major malls in Bukit Bintang, such as Lot 10, Sungei Wang Plaza and Pavilion, with excellent access to the monorail, LRT stations and bus networks. It's also just minutes away from the vibrant local nightlife, speciality bars and restaurants in the trendy Changkat neighbourhood and local food mecca, Jalan Alor. "Kedai Kopi Journal" is where we had our buffet breakfast and dinner, and ala carte lunch. With my lunch mates. And definitely a great location to take product photos cause of the bright lighting! With the girls and Mamasan. It was also a Christmas Celebration so we all exchange our gifts during dinner time with our roommates. On the first floor there are some meeting studios and gallery for events and communities. Our community used almost the entire space for the talk and workshops. Outside of the first floor is the Terrace Bar & Grill. The common area of first floor, we had our tea time at the meeting area upon arrival. 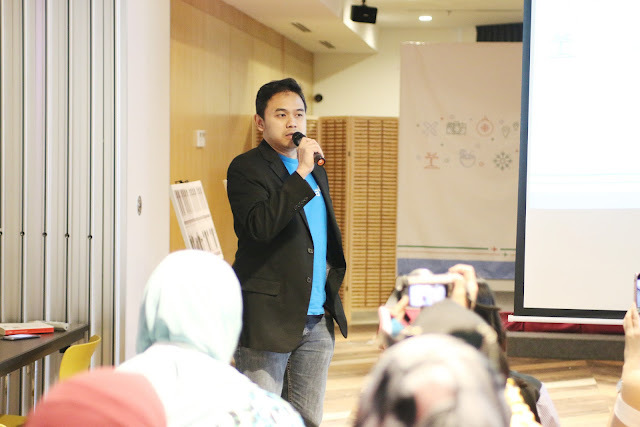 We also had some ice-breaking session and games, and of course some introduction from the main sponsors of this event. 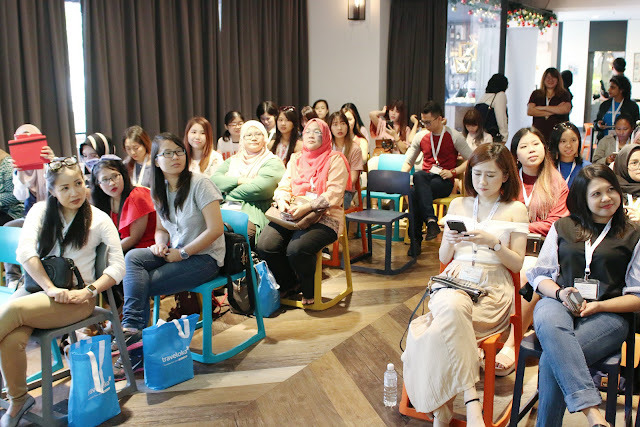 We were briefed by the bosses of Traveloka and The KL Journal on their history and benefits. My knowledge about Traveloka and The KL Journal that were all written in this blog post are mainly from these 2 bosses! We also used the meeting studio for some interesting workshops! 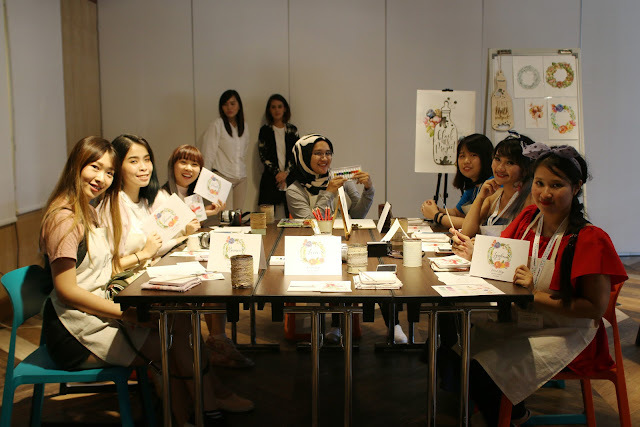 There were a few workshops and the one that I joined is the Floral Wreath Watercolour Workshop. It's my first time trying watercolouring cause I'm not an art person. We were taught to do some basic skill of watercolouring. With my partner & roommate of this event, Sharon. 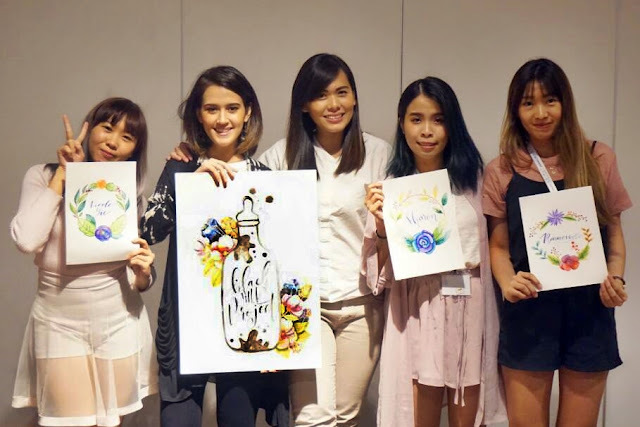 Had an amazing experience trying water colouring, and the feeling is very peaceful and calming. Would love to pick this up as a hobby but only if I decided to dump my full time 9-6 job. Haha. Thanks to Black Milk Project for this opportunity! Now let's walk out of the hotel to the Bar at the open area. I really love this area cause of the colour and trees around, it feels like you really wanna take a lot of pictures here! And yes I did take a few nice shots here! Instagrammable spot #2. It's a nice chit chatting area as well! That's Sharon, Shin May and Lee Yann from left to right. 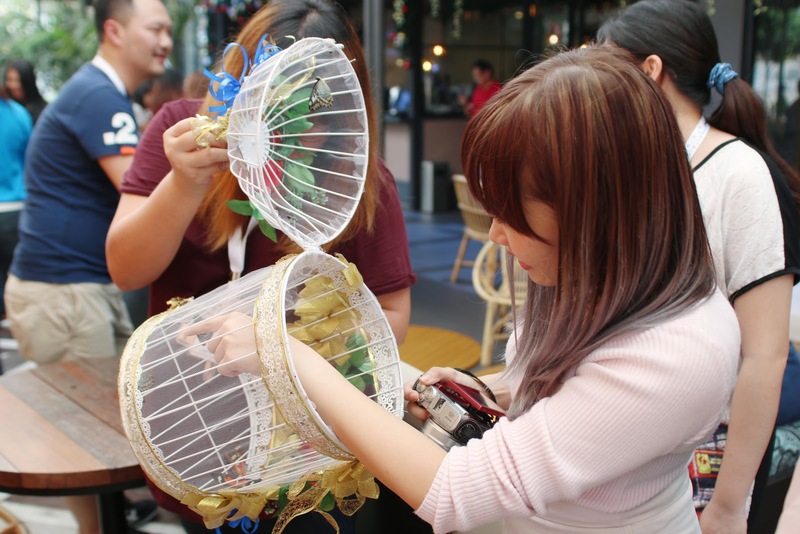 Look at this butterfly cage! It's so pretty! Mamasan decided to release the butterflies to symbolize the start of the event! 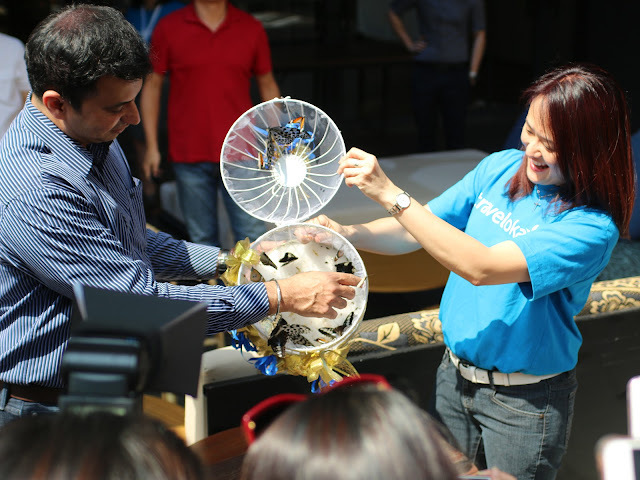 The releasing of the butterfly by Mr Ramesh & Miss Angelica. Despite that the hotel is very near to nearby local nightlife, the Terrace Bar & Grill is also a good place to chill at night if you're not feeling to go crowded area. There are live band from local singers, and there will be open mic session as well. Drinks for ladies are free on every Saturday night! And here's another plus point for this hotel is the roof top swimming pool! The view of Lot 10 shopping mall and monorail station. Aside from the swimming pool, the hotel has a Gym as well! But I didn't manage to get there as the lift was being weird. Finally we reach the most anticipated section cause you guys are definitely more interested to see the comfy room more than anything! The queen size bed with big wall art, and the wide window ft. Lee Yann the boss lady. Instagrammable spot #6 is at the window of the room! Didn't take much nice photo of the room cause it's filled with a lot of our messy stuffs! The clean toilet with shower, and toiletries provided. Here's another angle of the view of the bed, and crazy us decorated the room with Christmas props! But it's all worthy cause this pic has won me another staycation at The KL Journal! I feel blessed! And the room itself is actually already very Instgrammable because of the bright lighting and unique design! Instgrammable spot #7. And that's all that I have to introduce about this hotel! Is time for me to rate this hotel. Overall it's a very neat and clean hotel with great facilities and I do love all of their friendly staffs. Upon entering the hotel, I was greeted by a staff and he helped me to take my luggage to the lobby. Besides, the security is good as we will need a specific hotel access card in order to go into each floor of the hotel. I really love the effort in making the wall arts and designs very Malaysian style with some history of Malaysia involved, tourists from other countries will definitely feel the love! The only down side is some of the butterflies actually have to wait outside the room for the cleaners to finish cleaning up the room, which I think this should be managed properly by the management. 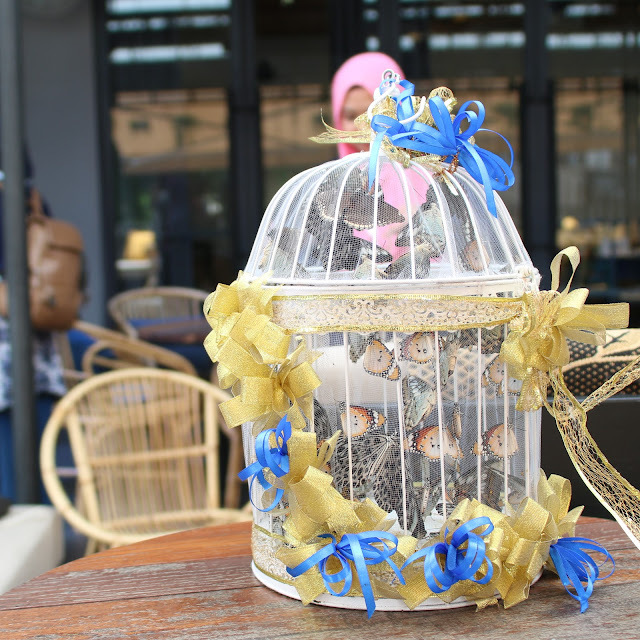 Overall we had an awesome staycation together with The KL Journal, big fat thanks to Traveloka & The Butterfly Project Malaysia! Experience the 360 degree of the hotel here! Us with Miss Angelica, the country marketing manager of Traveloka. Note: all images without watermark credits to Eros from The Butterfly Project. To be honest, I insanely love your efforts in making the wall arts and designs in such a Malaysian style with some historical episodes of Malaysia involved.